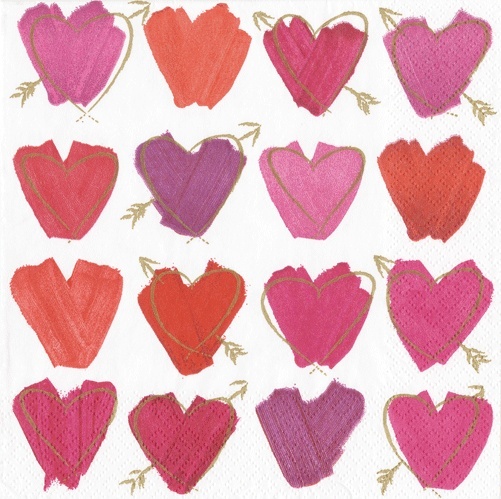 Valentine’s Paper Cocktail Napkins. Set of 20 Paper Cocktail - Beverage Napkins per package. Size: 10 x 10 inches open, 5 sq inches folded. Printed in a certified carbon-neutral facility using non-toxic, water soluble dyes. Caspari Paper Napkins. Paper Products for Entertaining. 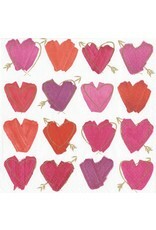 Valentine’s Day, Love, and Hearts Themed Decorations and Decor.